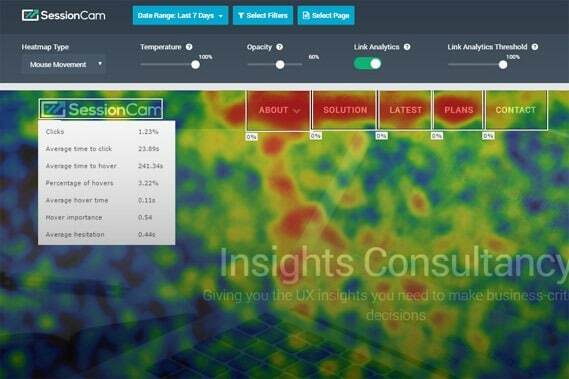 Website heatmaps offer an intuitive way to review customer experience data, revealing user actions at a glance. 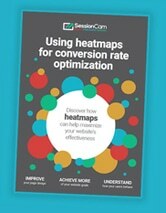 Our website heatmaps show you how visitors interact with your website. 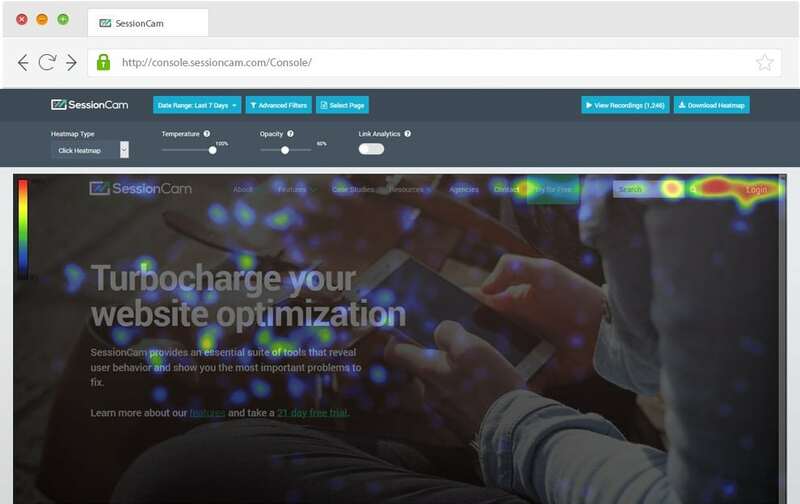 This popular SessionCam feature allows you to view ‘hot’ and ‘cold’ areas of engagement to uncover where visitors are clicking and if they’re using your website as intended. Use this aggregated data to see how segments of your visitors behave and gain insights that improve the user experience (UX). Mouse movement heatmaps shows aggregated cursor movement across the page based on mouse position data. This allows you to make your page design more effective and discover the best locations to place images, content and call to actions. Our click heatmaps show aggregated click activity on your site based on the position of the mouse at the point the mouse button is clicked. This allows you to identify errors on a page where visitors experience frustration through unclickable buttons and other technical issues. Our attention heatmaps shows you which areas of the page have been viewed the most by the user’s browser. By identifying where engagement levels are highest, you can position your content more effectively on the page to maximise visitor engagement. Our scroll reach heatmaps shows the aggregated page scrolling based on the furthest position reached by a user on the page. See how far your visitors scroll down a page to identify whether they’re seeing the information you want them to see. 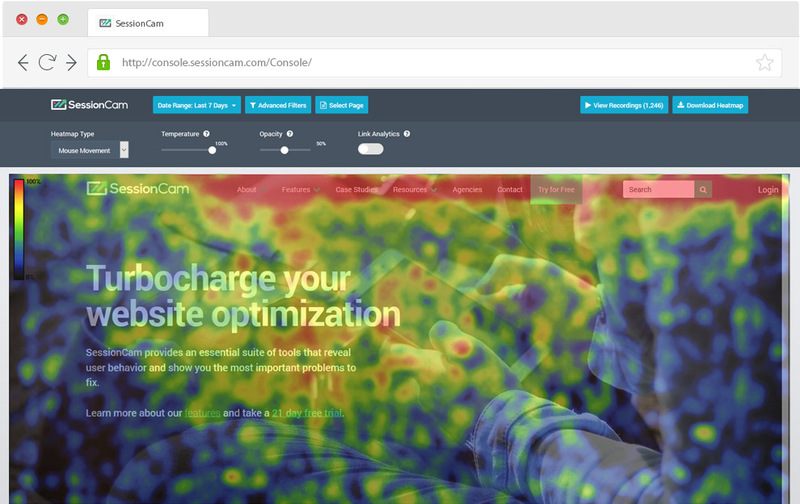 Compare website heatmaps side-by-side to understand behavior and performance across different customer segments. Compare desktop and mobile. Or, customers that convert and those that abandon. 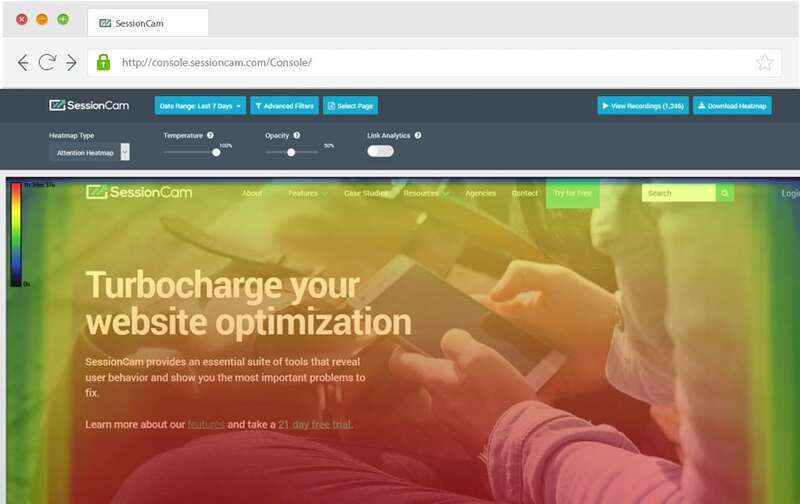 Use this insight to optimize your website pages. All of our website heatmaps work on responsive and dynamic websites too, as well as single page applications. Easily download and share the heatmaps you create. 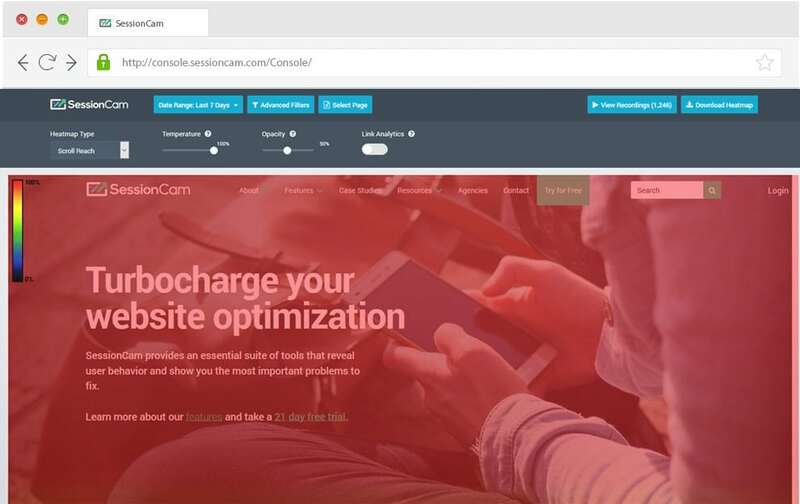 We have the best website heatmap solution on the market - get started with SessionCam today.